A higher order position brands can earn in the external and internal engagement space is cultural leadership. 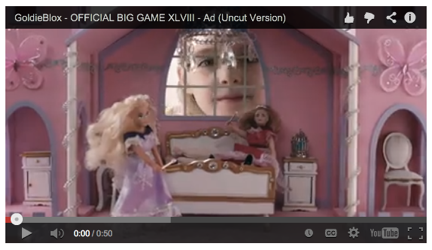 This is about brands shaping culture to create positive impacts in the world. To navigate this territory, brands must first establish conversation, which is the subject of this post and corresponding video clip, to be followed by community leadership and finally cultural leadership. 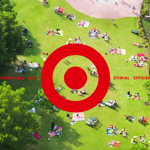 During the presentation, we ask key questions to help define your brand’s conversation, as well as provide examples of world class brands leading cultural conversation in the environmental and social impact space. How do you lead a conversation? How do you establish a proprietary point of view that gives you a competitive advantage by leading a cultural conversation that will better the world? How do you engage people rise to the conversation you grow around them? 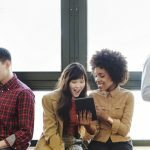 How does conversation drive business growth? What human property do you own? Key insights shared that provide answers to how brands can begin the process of establishing conversation leadership include: internal redirection and a 6-step checklist of authentically leading conversations. First, you have to define your conversation then sell it internally. 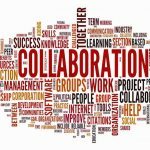 Ask: How do you get everybody onboard within the one organization? Second, you must incrementally change course, internally and externally. Ask: How could we incrementally steer that in the right direction? Third, establish a through-line to scale. Action: this may manifest as a pilot project, one product line or a regional-specific initiative which then upgrades globally. Fourth, shift dynamics of distrust to trust, internally and externally. Ask: What percentage of employees are engaged in the US? (Answer: lowly 13%). You must respond authentically to challenges to your values, products, and motives. You must enlist partners, employees, and consumers to support your mission and cause. You must inspire employees, partners, and consumers to amplify your story. 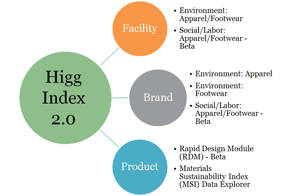 You must position your brand as the enabler of individual, company, and community wellbeing. You must empower and celebrate employee and customer success stories. You must provide adaptable and scalable tools for leadership, employees, and consumers to contribute to your brand mission. 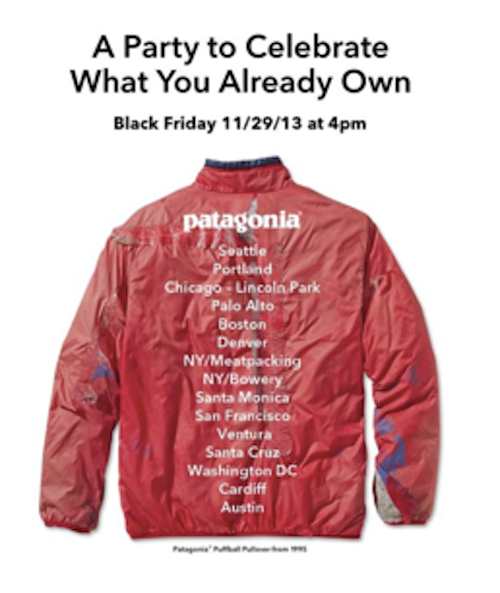 Patagonia wants consumers to celebrate what they own or bring it in and they’ll repair it. Can we make things smarter? 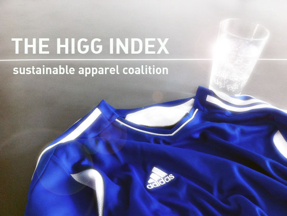 Can we make things smarter through the Sustainable Apparel Coalition and their unified sustainability index, the HIGG Index. Or, Unilever crowdsourcing through a competition, asking consumers how to design a more sustainable, and enjoyable, shower. By asking these questions at-scale, consumers at-large begin to understand and appreciate these conversations as good, necessary ideas that can ultimately benefit themselves as well as the world in the process. Can we make things fairer? 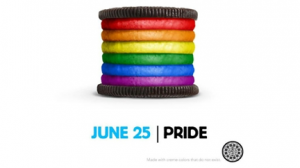 Brands from Macy’s to Starbucks and Oreo asking, isn’t there a better way to live where everyone respects the right to love? Can we help more people? 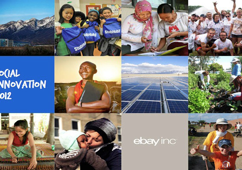 EBay’s re-launched their brand through a social innovation platform, committing themselves to helping more people. 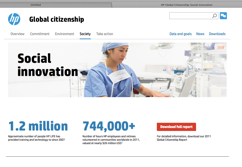 Or HP’s Living Progress platform. 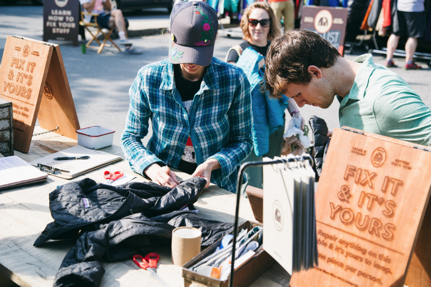 Both are asking big, tangible questions: Can we help more people? How do we help more people? 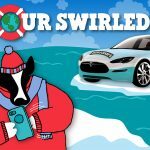 Who can we help? What would you like us to help with? How can we do it together? What ideas do you have? Can we treat the planet better? 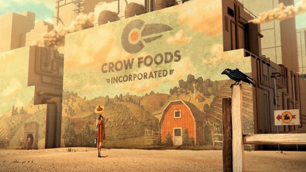 Chipotle and Timberland are asking, and investing in solutions, to how we can treat the planet better through Chipotle’s Food with Integrity campaign and Timberland’s Earthkeeping initiatives with the goal to plant 5 million trees in 5 years. What are some new ways that we can do that? How can we add to the forest around the world? Can we nurture new leaders? 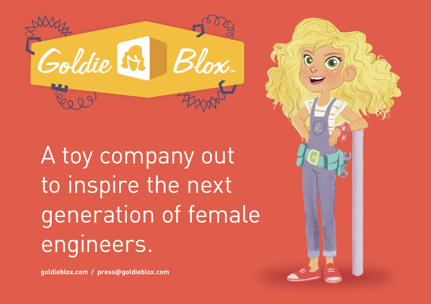 GoldieBlox, which makes stem products just for girls, asks if we can we break stereotypes and celebrate the innate and amazing skills within young women in different ways around the world? Now, having seen these examples, ask: What conversation do you want your brand to lead? 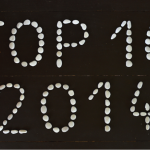 What topic(s) do you want your brand to be the authority on? Once you can articulate the conversation you lead, you will see how this conversation builds your business by aggregating customers and consumers around you.